Find a way or make a way! The motto of the visionary who made the West Coast Railway in Tasmania possible. Originally built to transport copper from Queenstown to Strahan, the railway was finished in 1896 and was open for 67 years. It is considered a feat of engineering and of the most intense labour. The work was hard and unrelenting made even more miserable by the weather. The hard work paid off. Not only for the mine in Queenstown but also for its workers as they used the train to get a break from the arduos mining work to have picnics in the forest. The 34.5 km train line runs through Tasmania’s wonderfully wild west coast. It is no surprise that in 1963 it was shut down as there were cheaper road transport to go from the mine to the port of Strahan. However, intensive lobbying saw the Federal Government provide funding for the steam railway’s restoration. Work began in 1999 and lasted 3 years; it is said that the restoration was pretty much building the railway all over again. 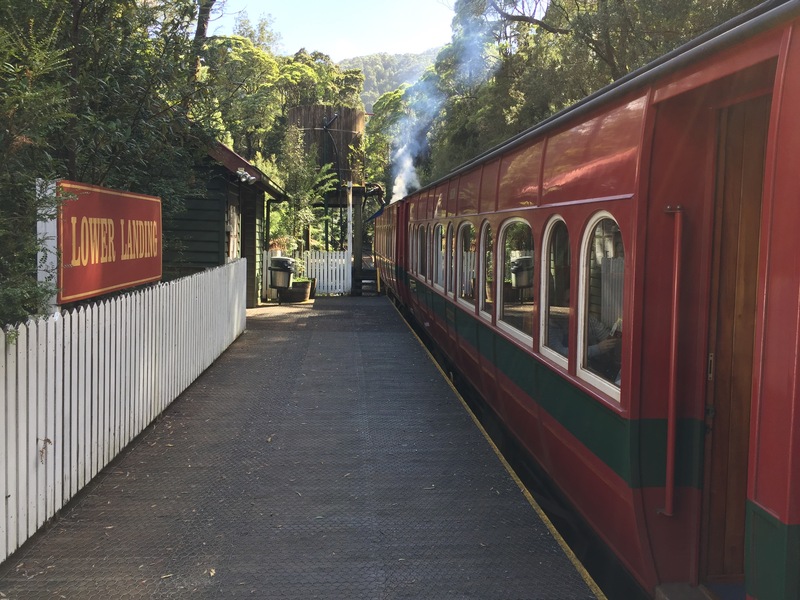 Costing more than 30 million dollars, the West Coast Wilderness Railway is now a journey through dense rainforest and past cavernous gorges, rushing rivers and toy-town stations. Very much worth a ride!